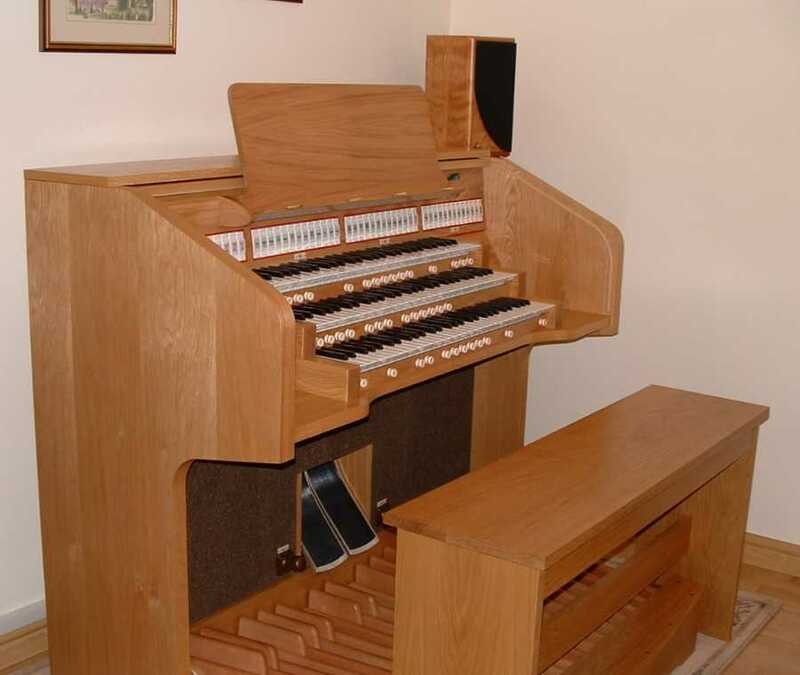 This three manual and pedal Phoenix organ has 44 speaking stops and an illuminating stop key console with the stops above the top manual. The organ has six audio channels and a choice of internal or external speakers. This organ is one of our "baseline" instruments which is available in the UK at a very attractive and competitive price. Please contact us to ask for the current price of this instrument (without obligation) - we hope you you will be pleasantly surprised. Our price includes a wooden roll-top cover, and delivery, installation and a matching bench. External speakers (for home use) may be supplied in place of the internal speakers at an additional cost. Customers may select their own specification within each department from our extensive library of carefully created sound samples, but the disposition between the manuals, style of console, registration aids and amplification must remain the same in this "baseline" instrument. Click here for details of our two manual and pedal baseline organ. Of course, we are always happy to discuss any particular requirements you may have and quote the cost of an instrument that is completely customised to your requirements. You will be pleasantly surprised at how competitive our prices are. Select specification from two specifications (using built-in sample sets).